This family is so fun! I love having them as neighbors and friends. They have added a family member since last year’s photo session – a beautiful Bernese Mountain Dog named Josie (she’s in the attached slide show). Those boys are so adorable and ornery and they make the photo sessions fun and unpredictable. They know how to pose! Merry Christmas, Sanders family! I love this family! A couple of years ago I took their oldest son’s senior portraits and they had me back to take Luke’s senior portraits. It was nice to get caught up on what Andrew’s doing and to meet Luke. At the time of this photo session, he had applied to IU Bloomington and was waiting on the decision. Had has since heard from IU and has been accepted! He isn’t quite sure what he wants to study specifically, but wants study at The Media School. It sounds fascinating to me! Luke, congratulations and make the most of your senior year! It’s October, but it sure didn’t feel like it last night here in Indiana. Despite the hot, muggy evening complete with one million mosquitoes, I enjoyed my photo session with Cole and his mom. All I can say is that he was a trooper. You can’t tell that while he giving us that bright smile, he was being bitten by the persistent mosquitoes. 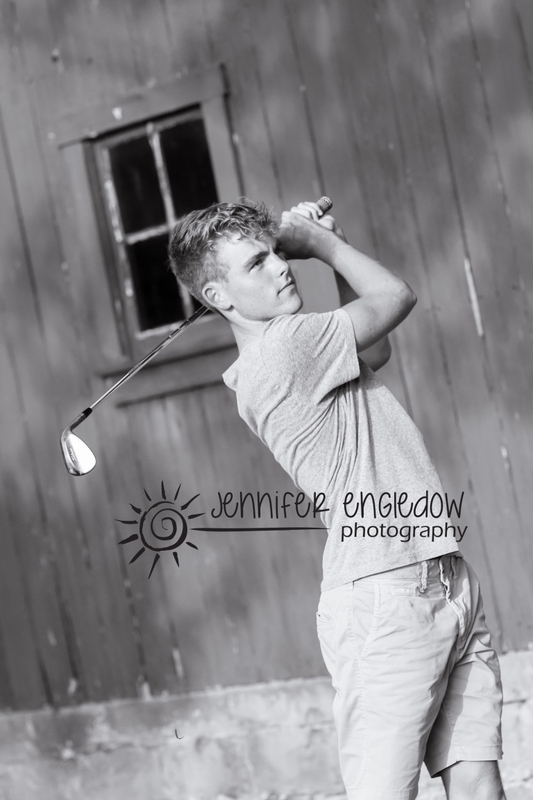 Cole is a senior at Carmel High School and on the 2018 State Championship Golf Team (very impressive!). Next Fall 2019, he will be attending the University of Cincinnati, studying finance and playing golf for the Bearcats! Cole, enjoy the rest of your senior year and the best of luck to you at U of C next Fall. Cat’s smile is infectious, isn’t it? We’ve known the Bakers since Cat was a toddler which doesn’t really seem possible. I’ve seen her grow into such a smart, driven, and caring person and I was so happy she contacted me about her senior portraits. We were having fun during the session when it was abruptly cut short by a storm. But, before we had to pack it up, I was able to capture these lovely shots of Cat. Cat, good luck this fall as you start your freshman year at The College of Wooster. I absolutely love my repeat customers! I had the pleasure of taking the senior photos for their oldest son, Keegan. Now the Benich’s are sending another senior into the “real world” so they asked me back (yay!). This session was fun not only because they invited us to their lakehouse, but also because this family is so down to earth and up for anything! Killian is taking a gap year which is becoming more common I’m finding. He is going to Colorado to stay with his uncle and to explore what the future might have in-store for him. Killian, I hope you find an awesome path and I wish you all the best!